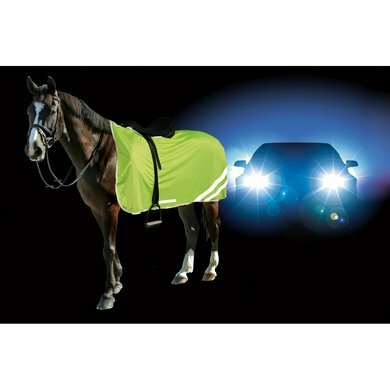 The Kerbl reflective safety blanket is ideal for use when driving outdoors (100% polyester). 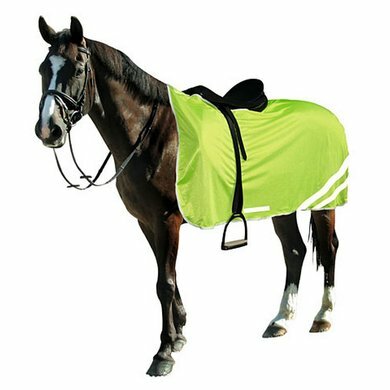 This blanket has reflective stripes and a reflective horse logo, a recess for the saddle and a wide Velcro closure on the shoulder for fastening. 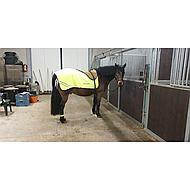 In addition, a leg strap at the tail ensures that the blanket stays in place. Material is light, meets functionality. 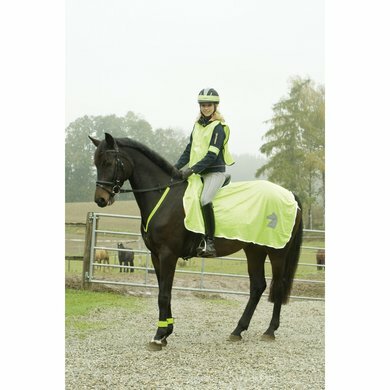 We are certainly clearly visible with all lighting and safety vest and blanket. Clear visible reflection. Size is slightly smaller than expected, so when in doubt order a size larger than smaller. Great blanket for visibility. However, extra reflection at the front must be purchased. 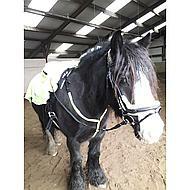 Ben switched to western, unfortunately he does not fit. Blanket feels light. 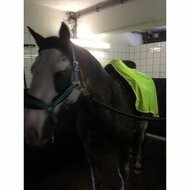 Is not warm for the horse.